The Mindset Shift was Priceless! 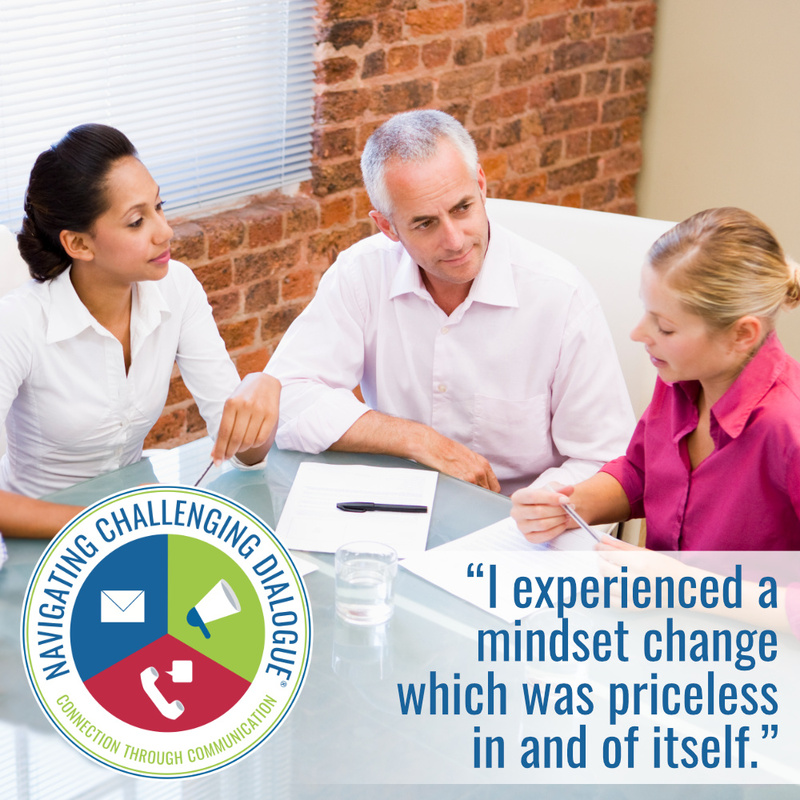 “When I was told I was going to a workshop called Navigating Challenging Dialogue® Skills Training, I wasn’t sure what to expect. By the time I left, I realized that the way I view just about everything had shifted. The biggest mindset change for me was to recognize where my involvement with others’ problems was doing more harm than good. I had been spending so much time trying to 'help' that I was getting drawn into drama and negativity that was not mine, and further, was perpetuating my unhappiness at work." Are you ready to make a positive shift in your happiness at work? Email support@bethwonson.com for more information, or click the link below to get started.